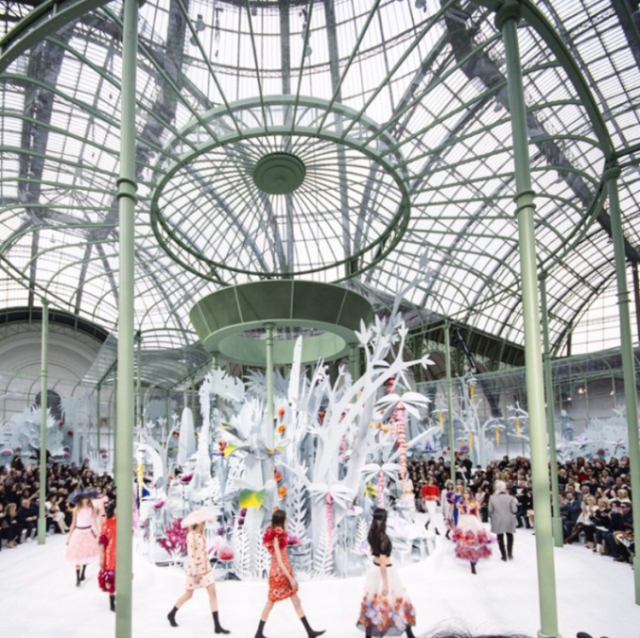 We are pretty astounded at the intricacy of Chanel’s recent Spring-Summer 2015 Haute Couture show at the Grand Palais in Paris. 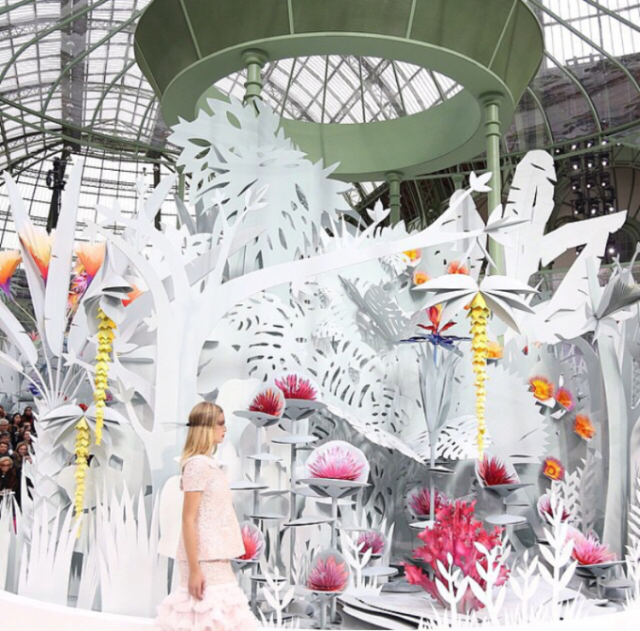 A beautiful installation of mechanical paper blooms (from the mind of Karl Lagerfeld) sat in the middle of the greenhouse while the models walked around it, their outfits mimicking the paper in color and form. 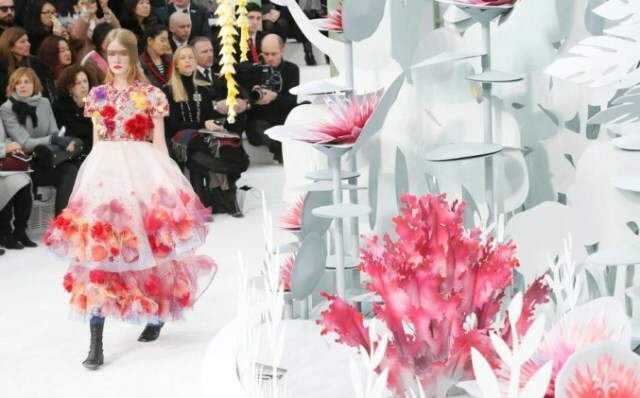 The whole show began with a striking male gardener “watering” the flowers. 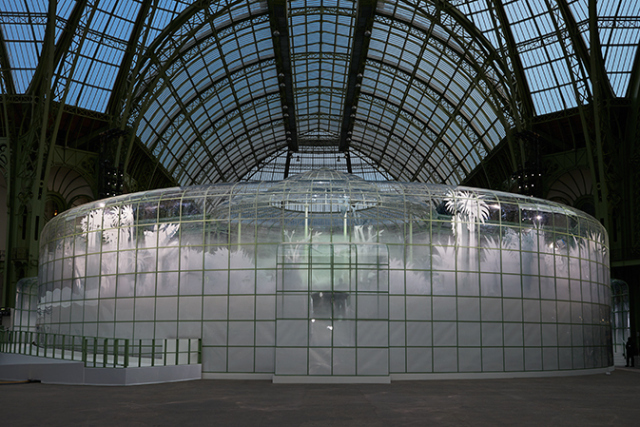 All of the sudden, the flowers bloomed, and the once stark white paper installation started to come alive with color. Check out the video below to see the amazing mechanics of this whole thing work! We are amazed!